Sanotint Swift hair mascara for men and women - Vivasan Webshop English - World wide delivery Vivasan Official Webshop® is specialized in shipments to the UK, Ireland and Scandinavian countries. Best prices! 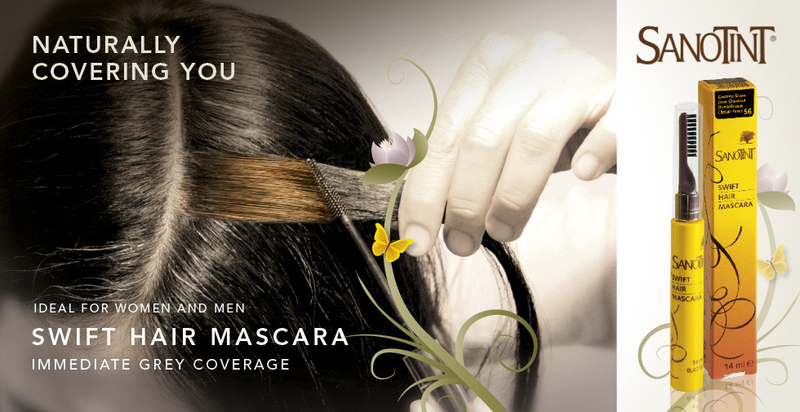 Sanotint Swift hair mascara covers regrowth on the roots immediately. The hair mascara is easy to apply and allows you games of colours to experiment with. Sanotint Swift hair mascara can be applied onto natural or treated hair.